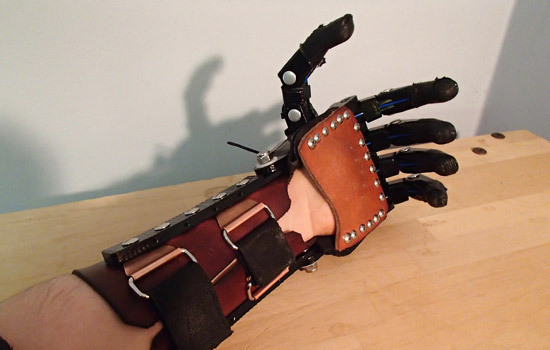 The Talon 2.2 is one of the newest versions of the 3D printed prosthetic hand built by Peregrine Hawthorn and his father. Hawthorn works with members of the e-NABLE group to improve the open source designs of affordable 3D printed prosthetics. When Peregrine Hawthorn breaks a finger, all he has to do is improve on the design and print a new one. The 19-year-old from Seattle was born without fingers on his left hand, but in 2013 he learned how to 3D print and build an affordable mechanical set of his own. Today, he is using his knowledge and passion to collaborate with e-NABLE, an online community of 3D printing hobbyists that works to custom design, improve and create affordable prosthetics for those in need. Created by Jon Schull, a researcher at Rochester Institute of Technology, e-NABLE pairs children and adults with missing or deformed fingers, hands or forearms with makers who produce customized 3D printed prostheses that can improve their lives. 3D printers have been used to create everything from bars of chocolate to human ears. In 2011, Richard Van As and Ivan Owen used a 3D printer to create an open-sourced 3D printed prosthetic hand. Schull noticed that many engineering classes around the world were creating these one-off prosthetics for local clients with special needs, but there was no mechanism for developing and distributing their efforts. 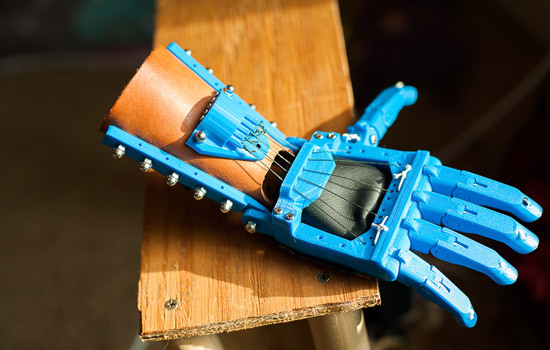 Schull originally created e-NABLE as an interactive online map for connecting 3D printing hobbyists who would volunteer to design, fabricate and fit mechanically enhanced hands for people. He then developed a Google+ community for makers to collaborate, innovate and improve the open source designs of 3D printed enabling devices. Today, more than 300 makers, engineers, medical professionals, tinkerers, teachers, students, artists, philanthropists, parents and “ideas people” from five continents have come together to make a difference. E-NABLE does not sell the devices but instead empowers parents and others to create them on their own. They also guide new makers in the building process and will prints parts for those that need them. Active members of the group include Paul McCarthy and his son, Leon, who were featured on CBS News, as well as NPR and the Katie Couric show, for creating a functioning prosthetic hand for Leon with the aid of his science teacher, Bill Sullivan, and the school’s own 3D printer. Members post open source design files for hands and others offer suggestions to improve their devices. The typical designs—including the Cyborg Beast and the Talon Hand 2.0—feature plastic fingers controlled by flexing the wrist, which pulls on cable “tendons” to close around a desired object. Schull has seen support from industry for the e-NABLE project, having been involved in the Make The World: Prosthetics webcast, a Google+ program in collaboration with Adafruit, in October 2013. He also spoke alongside Hawthorn about computing and collaboration within the cloud at the Intel Annual Sales Conference in Las Vegas in February. On March 1, Schull will travel to the Science Online Conference in Raleigh, N.C., to discuss Creating Collaborations across the Wide World with the Web, with Nick Parker, a high school student from Silicon Valley and a builder in the e-NABLE group. To learn more about the collaboration going on at e-NABLE, go to enablingthefuture.org and like it on Facebook. 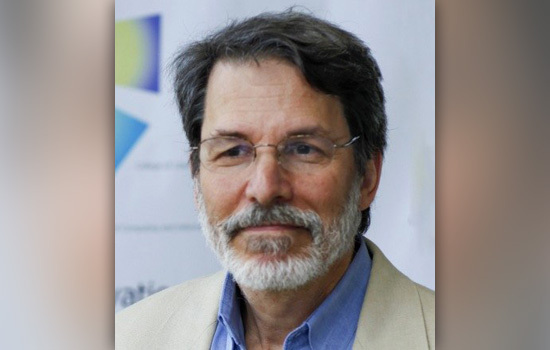 Jon Schull, a research scientist in RIT’s MAGIC Center and creator of e-NABLE, has traveled across the country to talk with other makers about the power of 3D printing and online collaboration.